There has been a lot of GTA2 activity in the past few months. 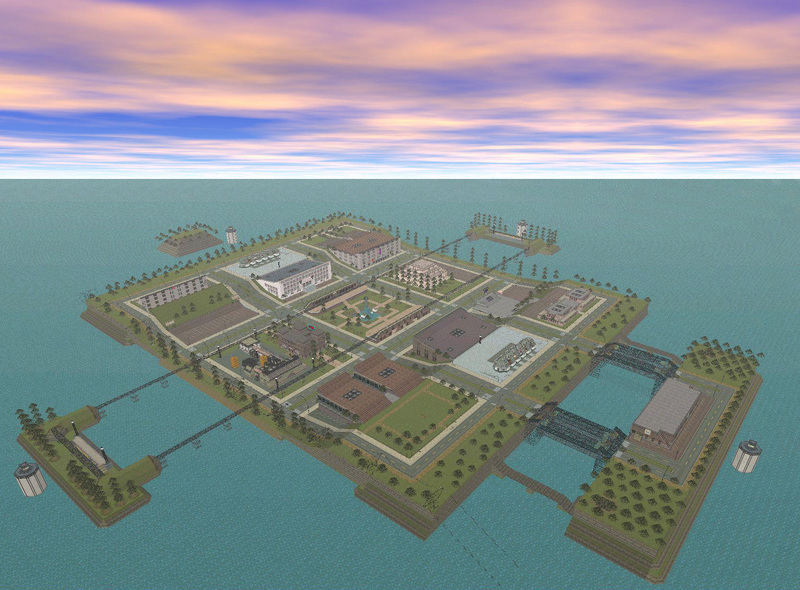 B-$hep is creating a GTA2 map editor in Delphi. Black Phoenix is reverse engineering GTA2 and creating OpenGBH/OpenGTA2 in C++. T.M. is working on a map viewer and automated minimap generator in C++ and he might even make a PHP version. It can be used to create some really great images. Vike the Hube has been patching GTA2.exe using his ASM coding magic. Sektor and Ben Millard have been working on GTA2 Game Hunter. None of these projects are really ready for the public yet. I plan to release a public beta of GTA2 Game Hunter v1.5 in the near future. The petition to release GTA2 source code, now has over 2000 signatures. GTA2's 10th anniversary is this year! This reverse engineering seems VERY interesting. It would be an dream come true, such a sweet dream… If it would also improve the multiplayer, make it more stable, and whatnot else! Altrough i havent read trough the OpenGTA2 blog much yet, it seems quite good so far. Probaly has a long way to go, but it’ll probaly be all worth waiting for. Yes this is very interesting. Reverse engineering GTA2 and creating OpenGTA2 in C++. This reminds me of Openttd at http://www.openttd.org and that was very successful and stunning in multiplayer was much improved. And it would be nice to be able to play with allot less lag from other countries when ping goes over a certain amount like in the original GTA 2 then things get slow. More players and map can change while inside game with mapvote even! T.M. is working on a map viewer and automated minimap generator in C++. That sounds good too maybe could create easy map jpgs and legend as it can take ages to make one for a map currently. OpenGTA2 developer here. I would like to clarify some things: OpenGTA2 is not exactly open-source GTA2, it is designed as improved and revamped version of GTA2 (hey, I bet you always wanted your own GTA2? Well guess what, now I’m no longer a small kid, and I have level of knowledge and developement resources to do that!) – it might feature slightly different physics, but I assure you, as a GTA2 fan, these alterations will be only good (and it will have, finnaly, fixed collisions). The engine uses different approach to maps – here we have a huge global map made up from chunks, which are small enough to be sent over network (missing map? download it! ), and besides those chunks can be edited in-game (at least that is one of core ideas, to allow in-game map altering with saving). Gentlemen, GTA2 and GTA1 are great games. They are more than just ordinary games, they deserve their lifetime to be extended! Any updates lately your site Black Phoenix is dead or went dead! Would miss this if you stopped working on it heh. I don’t know why http://wireos.com is down but hopefully it comes back soon. The OpenGTA2 google code page is still up but no code has been added yet. http://subvein.net/ is a little bit like GTA2. It doesn’t have vehicles yet but they are planned for the next version. I don’t really like the mouse aiming but it has much better netcode than GTA2. There was a server update that went horribly wrong, and the people lost all data on the server (but worry not, I receive daily backups and I already restored the website). The blog doesn’t work yet (they installed wrong version of PHP that doesn’t support MySQL…). The google code page is obsolete, I never really got to use it. Here’s the SVN: https://svn.wireos.com:81/svn/opengta2/ (username: [b]anonsvn[/b], password: [b]anonsvn[/b]). Oh yeah, there are two folders, ignore the “opengta” folder, that’s older outdated version, it was there while I was still copying code over from there. I’ll remove it later. Would custom weapons finally be able to be put in to GTA2 with your new source Black Phoenix? This is going to be the greatest thing to happen to classic gaming since ZDooM rehashed the Doom formula. Yes, I’m working on this again after some pause to work on other project. I’ve rewrote the engine in pure C (which doesn’t influence anything on developement part – the networking part of the engine is ready, and it will not change), and this time I’m also planning to put all high-level features of the game engine into Lua scripts. This includes weapons – while weapon bullet physics are handled by the core engine (which checks how bullets travel accounting for networking, etc), the Lua scripts are the ones that draw bullets, create bullets, etc. The whole weapons system is now going to be written in scripts, and therefore completly changeable and overrideable by gamemodes. Some more info will be appearing on my blog. We have two new developers, and there’s new proper rendering engine one of them is working on. In the original game, characters had AI based on their Occupation. I.e. One of the only missing occupations is Medic, who have the unique ability to resurrect people. I was wondering if character behavior would allow for more implementation, if new occupations could be scripted into the game’s framework. For example, instead of muggers & car thieves being some of the only criminal types to spawn around the city, if other dummy spawns with unique behavior patterns can also be scripted into the game. Like an occasional dummy spawn of a suicide bomber, kidnapper, stalker, thief, etc. Something to the effect of anything differing from a pedestrian, gang member, psycho, mugger, cop, etc.